Responsibility is a pivotal concept in law, but also in history and philosophy. Some argue that there can be no law without responsibility. However central the concept of responsibility is to legality, and maybe because it is that inescapable, it remains fraught with conceptual and normative difficulties. Responsibility is also a concept whose transfer from one of those three disciplines or practices to the other has become common, but has generated a lot of controversy. It suffices to mention the use of history in ascertaining attribution or causation in recent international human rights cases. All this makes the topic a promising one for an interdisciplinary discussion. 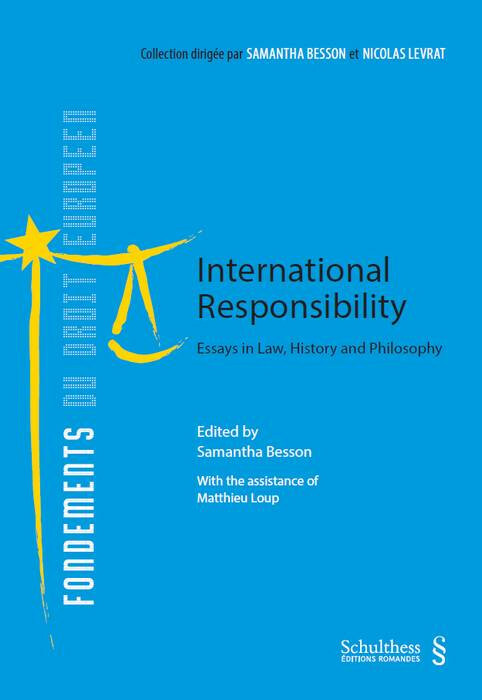 This collection of essays is the outcome of a Doctoral Colloquium organized under the auspices of the Doctoral Programme CRUS Law, Ideas and Politics of Europe and constitutes the 10th volume of the collection Fondements du droit européen. It gathers the written contributions of participants, both doctoral students and senior scholars from Swiss and European universities.